Every state of a DFA always has exactly one exiting transition arrow for each symbol in the alphabet. Let M = (Q, Σ, δ, q0 , F ) be a finite automaton and let w = $ w_1 w_2 · · · w_n $ be a string where each $ w_i $ is a member of the alphabet Σ.
a state may have ε, zero, one, or many exiting arrows for each alphabet symbol. 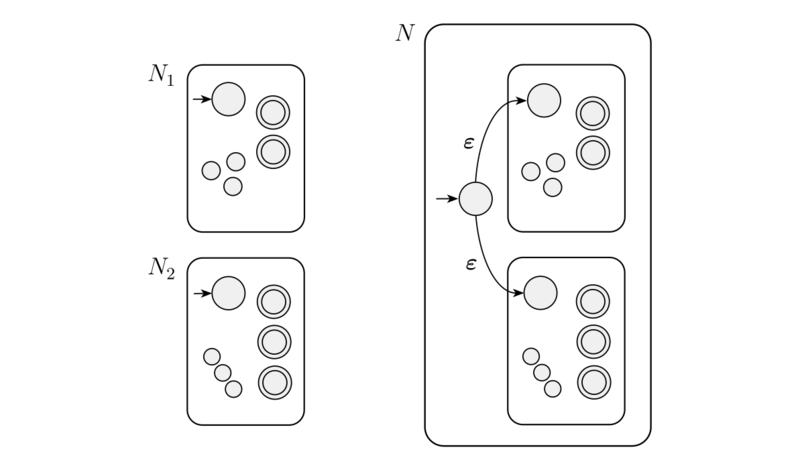 Every nondeterministic finite automaton has an equivalent deterministic finite automaton. 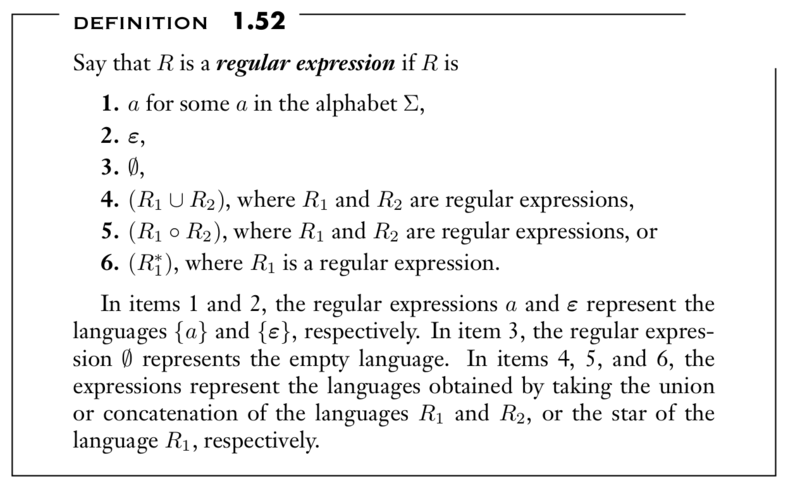 If a language is described by a regular expression, then it is regular. If a language is regular, then it is described by a regular expression. Let M = DFA that recognizes A. 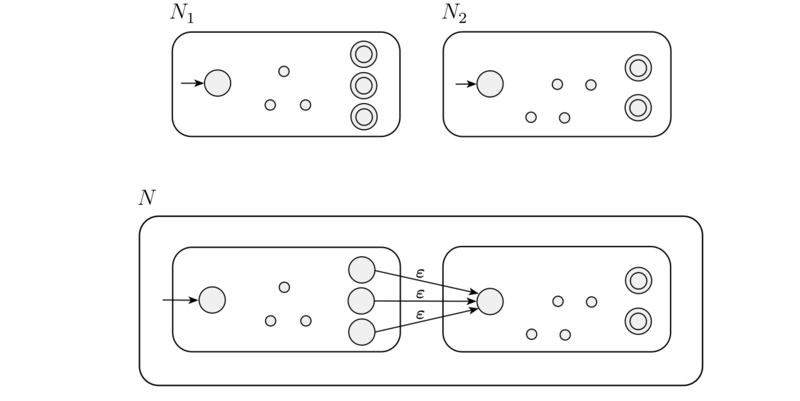 We assign the pumping length p to be the number of states of M.
We show that any strings in A of length at least p may be broken into the three pieces xyz, satisfying our three conditions. Choose s to be the string $ 0^p 1^p $.